Competition Engineering Chrome Moly Rod End Left-Hand Thread Thread: 3/4"
QA1 XML12 - XM Chromoly Steel Series Rod End Hole I.D. 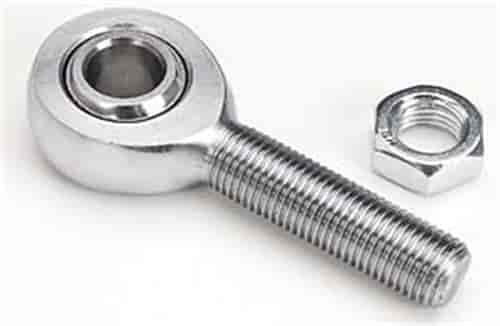 : .7500"
Competition Engineering 6163 - Magnum Series Chrome Moly Rod End Left-Hand Thread Thread: 3/4"
Competition Engineering Rod Ends cover a range of applications from throttle linkages to suspension arms. Chrome moly rod ends are suggested for ladder bar or 4-link suspensions. Polyurethane rod ends are for steet cars using ladder bars. Sold individually.